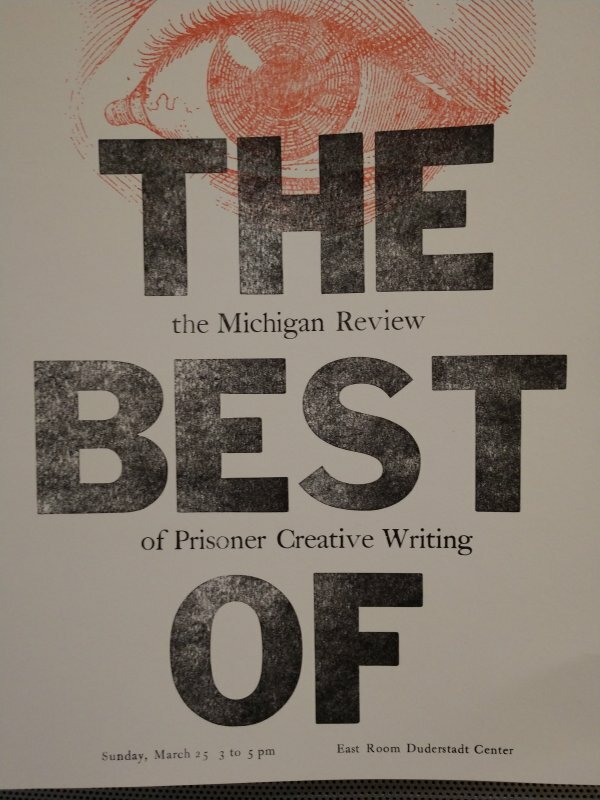 The Michigan Review of Prisoner Creative Writing seeks to showcase the talent and diversity from Michigan's best incarcerated writers. The Review features writing from both beginning and experienced writers- writing that comes from the heart, that is unique, well-crafted, and lively. 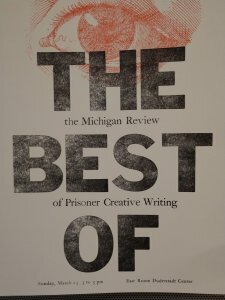 It is a publication by the Prison Creative Arts Project, a nationally recognized program committed to bringing those impacted by the justice system and the University of Michigan community into artistic collaboration for mutual learning and growth. If you would like to volunteer, the commitment level for this meeting is flexible, drop by when you have a chance or come as often as you would like. Meetings are every other Monday from 7-9 PM in room 2401 Mason Hall starting September 10. During meetings you will read and vote on creative writing that has been submitted to the review.